Offshore workers' confidence in the safety of helicopter transport is low, according to the RMT union. 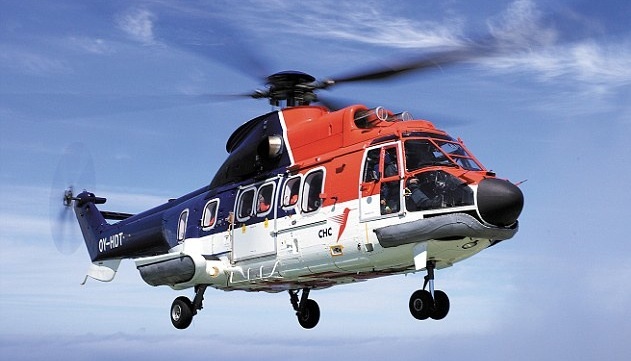 THE OFFSHORE union RMT has repeated its call for an independent public inquiry into the safety of offshore helicopter transport in the North Sea, ahead of a Commons debate on the subject later today (Wednesday). Thirty-three offshore workers and crew died and 65 were rescued as a result of helicopter accidents across the North Sea in the decade from February 2009. All of these incidents, including the fatal incident off the Norwegian coast on 29 April 2016 and the accident off Sumburgh on 23 August 2013 in which four oil workers died, involved Super Puma helicopters. These were withdrawn in May 2016 and have not been used in the North Sea since, despite the Civil Aviation Authority (CAA) releasing airworthiness certificates in July 2017. Trade union opposition is keeping over 30 Super Pumas on the ground, but there is an ongoing decline in offshore workers’ confidence in the safety of helicopter transport, the union said on Wednesday morning. A call by the Commons’ transport select committee to hold an independent public inquiry was rejected by the government in 2014. RMT general secretary Mick Cash said such an inquiry would provide clarity and certainty for offshore workers over the future direction of offshore helicopter transport in the North Sea. “RMT has been fighting for an independent public inquiry into offshore helicopter safety for over a decade now and that fight for transparency across the industry on this critical issue continues as the House of Commons prepares to debate the issue today,” he said.